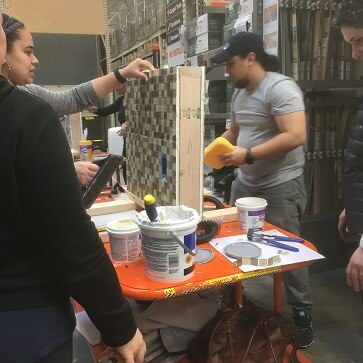 Adding a tile back-splash to a kitchen, and or a bathroom, will update and change the entire feel of the room; learning how to make that transformation happen will empower you forever! 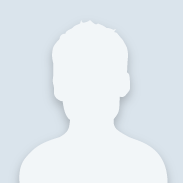 The buzz was felt all over the West Roxbury, Ma. 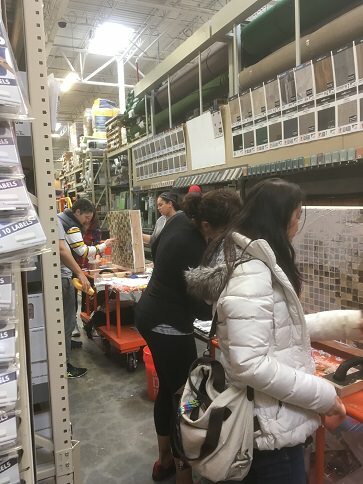 Home Depot, on Saturday, right there in the center of the store, in the main flooring aisle, in the midst of all the Saturday morning customer traffic, a tile workshop took place. 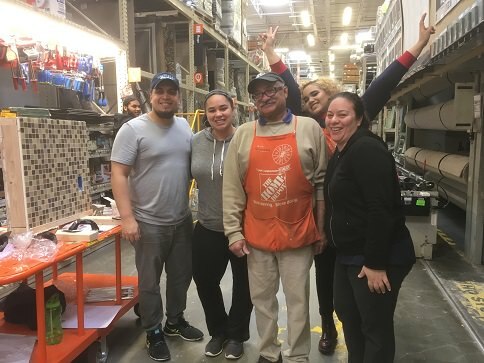 Graciano, a flooring specialist, conducted a well-attended tile workshop. The attendees along with curious customer listen intently while Graciano explained, instructed, and demonstrated the use of the tools and discussed the products they would be using during the workshop. The hands on part of the workshop produced a serious rumble; the aisle was a hive of activity! 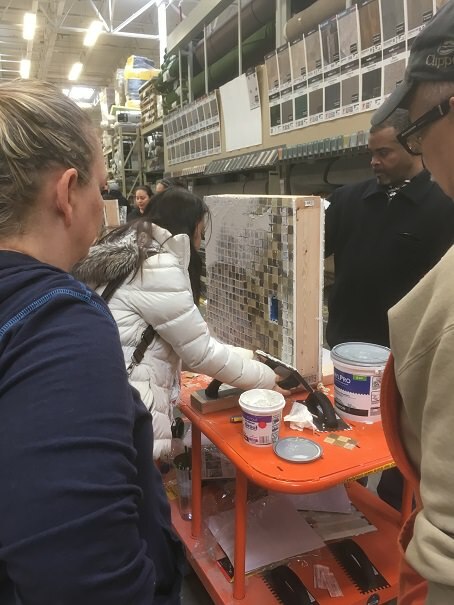 Grout and questions were flying; everyone had a chance to try their hand with a trowel, float and a sponge. The sense of accomplishment and the newfound confidence for all the DIY’ers in attendance was evident; so many of them hung around after the workshop to get even more advice, and chat with Graciano.